ESO Supernova Exhibition — Which stars have planets? Stars come in various sizes and temperatures. Exoplanets have been discovered around almost every type of star – even stellar remains and binary systemss. 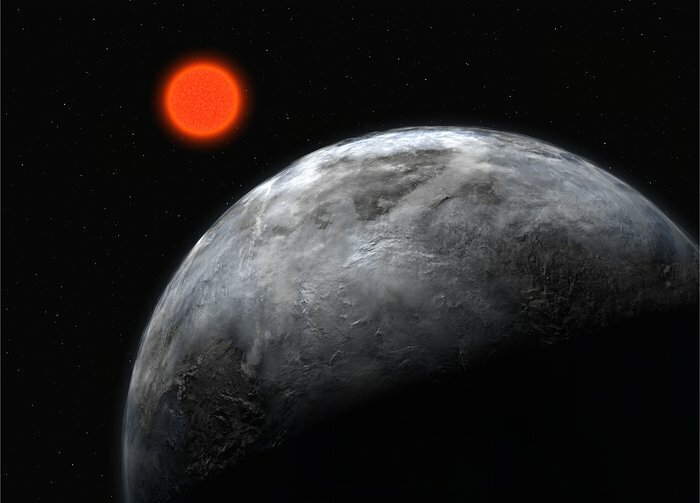 Parent dwarf: Gliese 581 is a cool and faint red dwarf star, orbited by a super-Earth in the habitable zone (artist’s impression). Zombie planets: In 1992, astronomers discovered planets orbiting a pulsar (upper left), a bizarre, extremely compact and rapidly spinning “zombie” star (artist’s impression). Our Sun is an average star in terms of size, temperature and brightness. Most of the exoplanets we know orbit stars similar to our Sun. But more extreme stars have planets, too, from faint red dwarfs to luminous blue giants. Some exoplanet host stars are variable; others are part of a binary or triple system. Rocky planets have even been discovered around pulsars — the extremely compact remains of supernova explosions. A better question might be: which stars do not have planets? Sizing up stars: Stars come in a wide variety of masses, temperatures and luminosities, designated by capital letters. Our own Sun is a G-star. 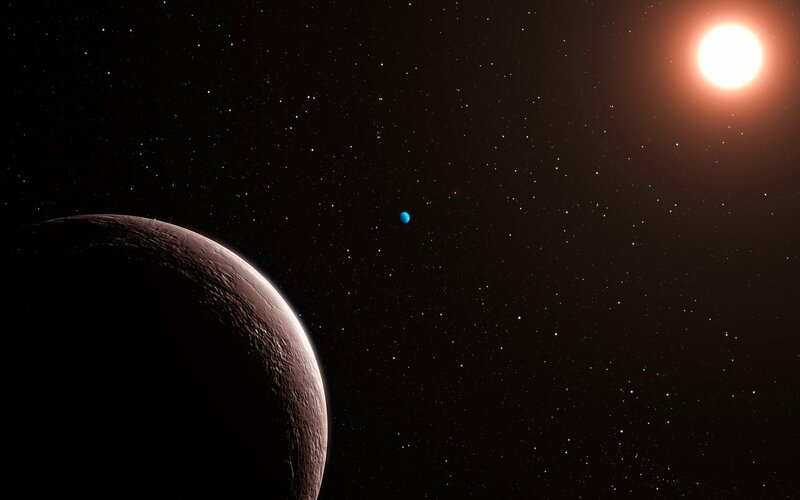 Two suns: Exoplanet Kepler-16b has two suns. The two stars (Kepler-16 A and B) orbit each other at close range; the planet’s own orbit is smaller than Earth’s orbit around the Sun. Some stars are smaller and fainter than our own Sun. Others are larger and brighter. But these other stars can have planets, too. Can you imagine what life would be like on one of those planets?